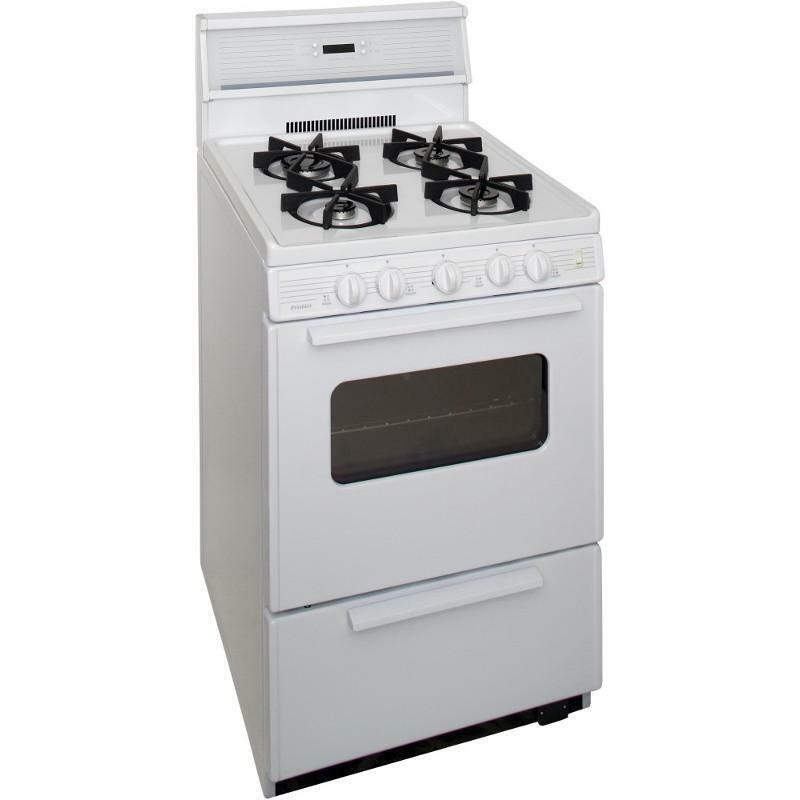 Premier offers a 24" white gas range with electronic ignition, 10" backguard with tempered glass and four sealed burners. 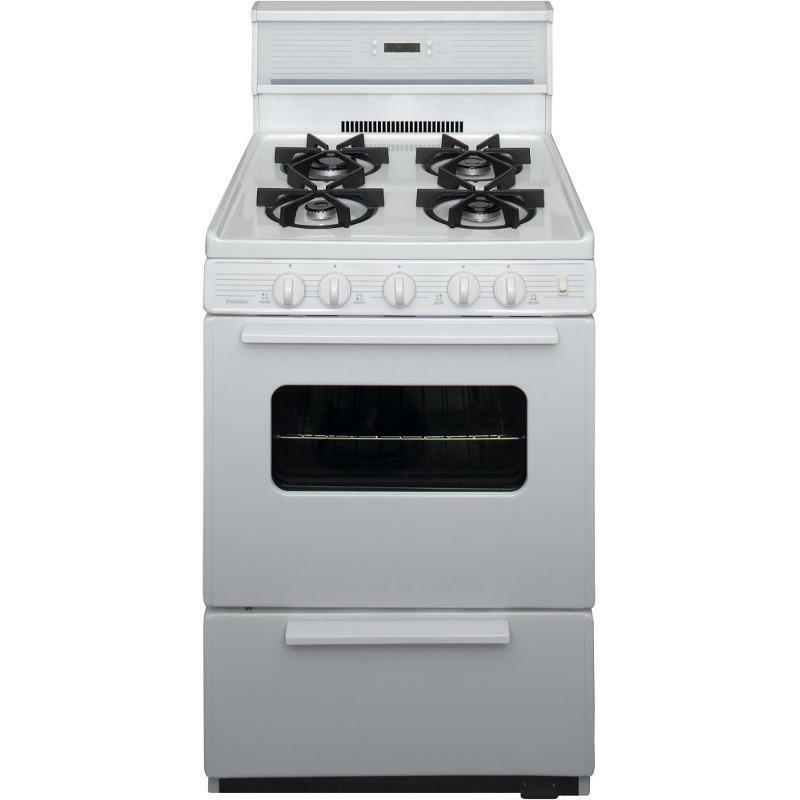 The freestanding appliance features a windowed oven door with interior oven lighting and a roll out drop door broiler drawer with a pan and a tray. 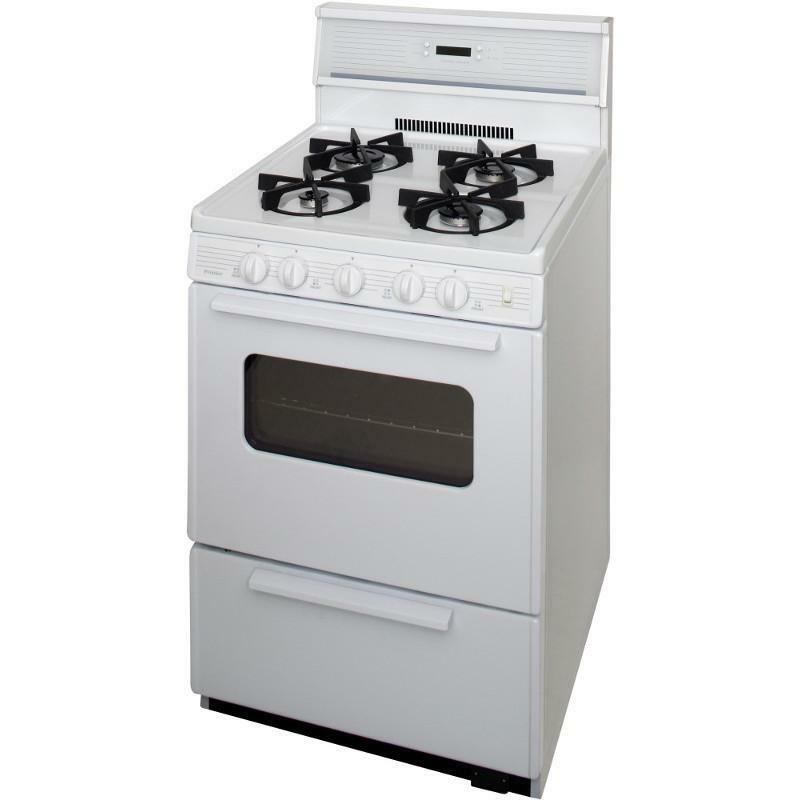 The range also provides two heavy-duty oven racks with four adjustable positions and heavy-duty, cast-iron grates. 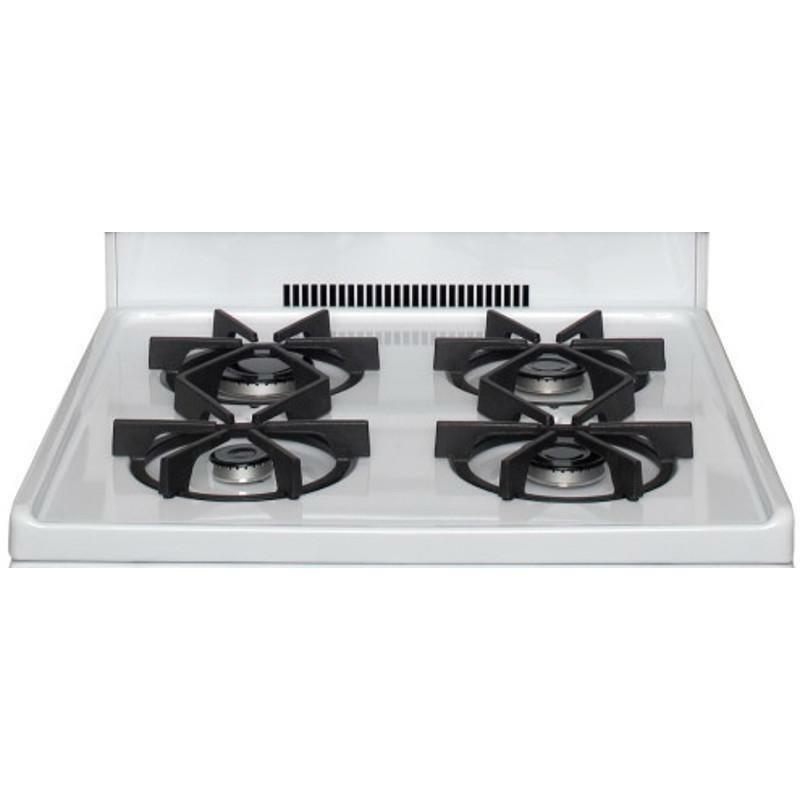 Sealed burners retain spills on cook top for easy clean up. The 12 hour timer is mounted on the backguard with a decorative tempered glass front and is easily set with the push of a button. 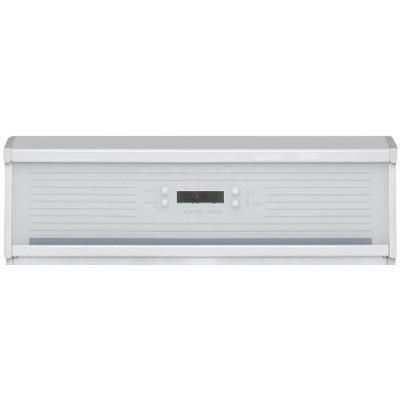 The fully electronic spark system allows both oven and top burners to be lit with a match during power failure. Additional Information • Electronic clock/timer. • Bakeview oven door with window and light. • 10" backguard with tempered glass. • Roll out drop door broiler. • Anti-tip bracket (attaches to floor). Burners/Elements Output • 1 x 15,000 BTU Power Burner. • 2 x 9,100 High Efficiency.